Planning a party for Valentine’s Day? These water bottle and snack boxes are too cute to pass up! 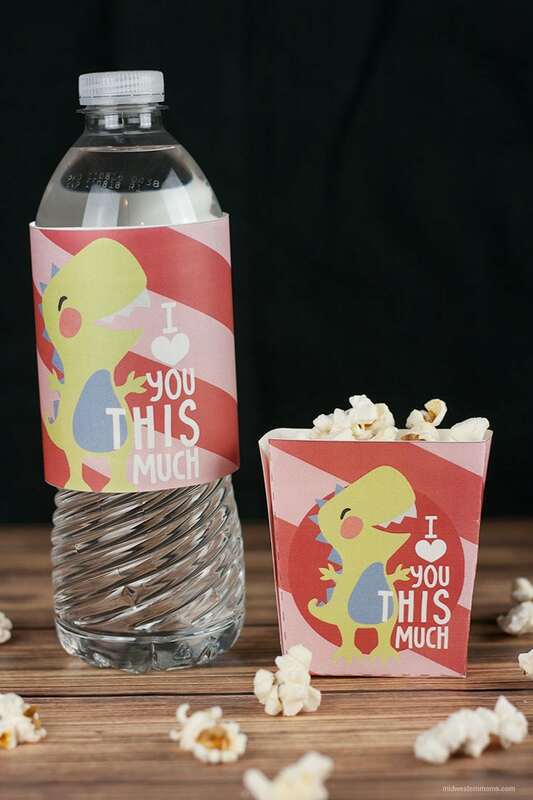 These dinosaur printables will surely top off your Valentine’s Day party decorations! The printable for the water bottle will transform the bottle from boring to fabulous. Have some fun snacks like pretzels or popcorn? The snack favor boxes will be perfect for little ones to carry around their snacks. Simply print the party favors on card stock. Then using scissors, cut out the party favors along the solid lines. For the snack boxes, once they are cut out, simply fold along the dotted lines and tape together. For the bottles of water, wrap the printable around the bottle and tape together tightly. In the newsletter box below, you will need to enter your email address. This will send you an email with the links to the printables. It will also subscribe you to our newsletter.